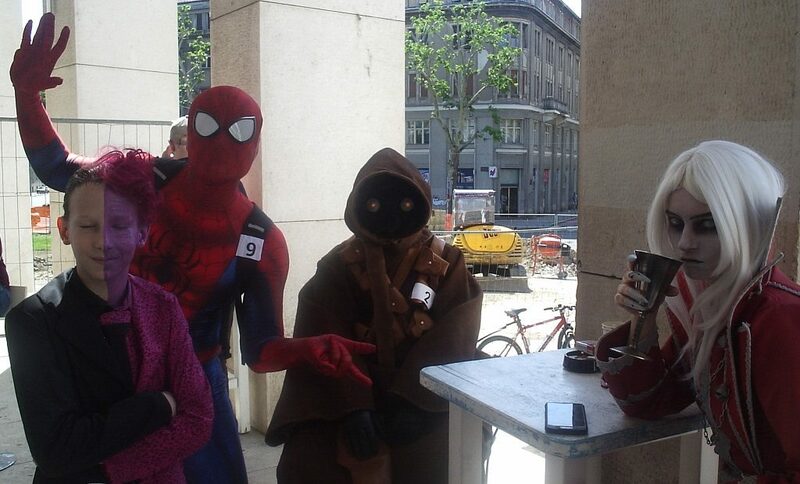 Every year, on the second weekend in May, Croatia’s capital city Zagreb becomes a sort of haven for geeks of all stripes (comic fans, lovers of SF & fantasy, cosplayers, gamers, including, or maybe especially, RPG players, etc.) because that’s when the annual SF convention, better known as Sferakon, and the annual comic convention, now called the Zagreb Comic Con, are held. They’re actually separate events, held in completely separate venues, which can sometimes be a pain, because you have to run back and forth from one to the other if you want to catch events that are scheduled close together (and sometimes there’s just scheduling conflicts, so you’re forced to choose). Luckily, they’re not too far away from each other. The Zagreb Comic Con, also called the Crtani Romani Šou (or ‘Funny Comics Show’) until the year before last, is held in an art gallery in the downtown area called the Meštrović Pavilion. It really is more of a show than an actual con (at least in the way most people picture cons, which are held in huge convention centers and have thousands of attendees). 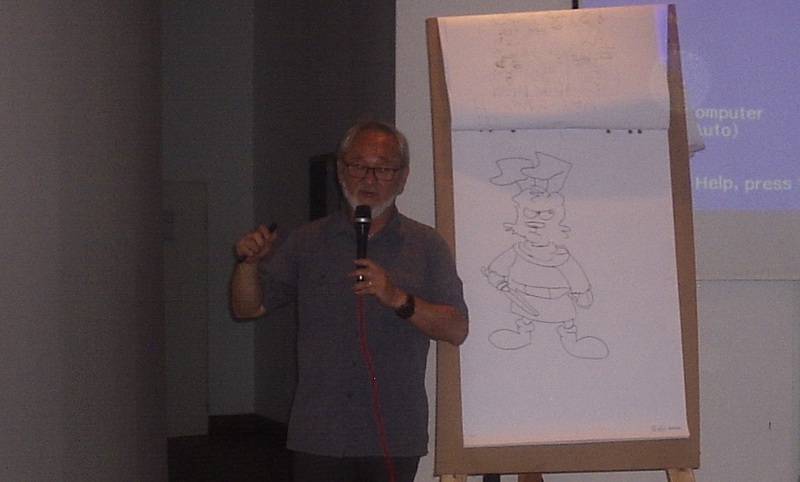 But it’s actually a really nice event, because lots of comics creators from both Croatia and abroad show up, and this year the guest of honor was Stan Sakai. 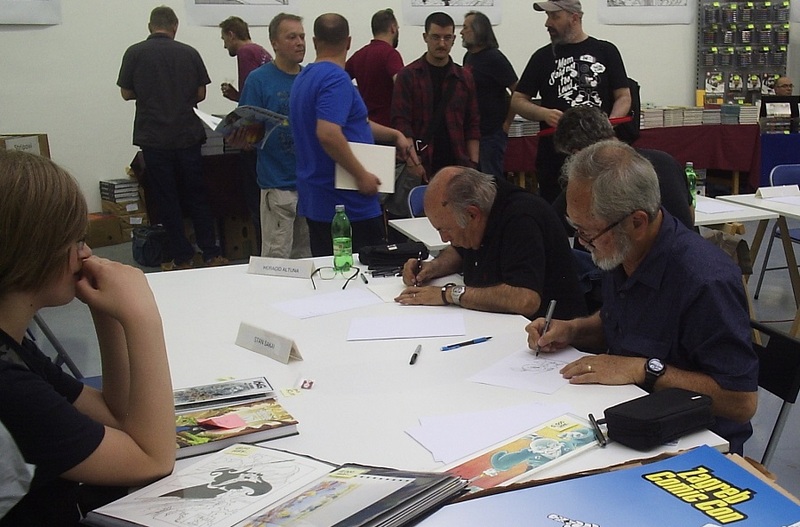 The various guests spend much of the weekend drawing for fans, holding demonstrations and lectures, while mainly local comics professional hold drawing workshops geared toward kids. 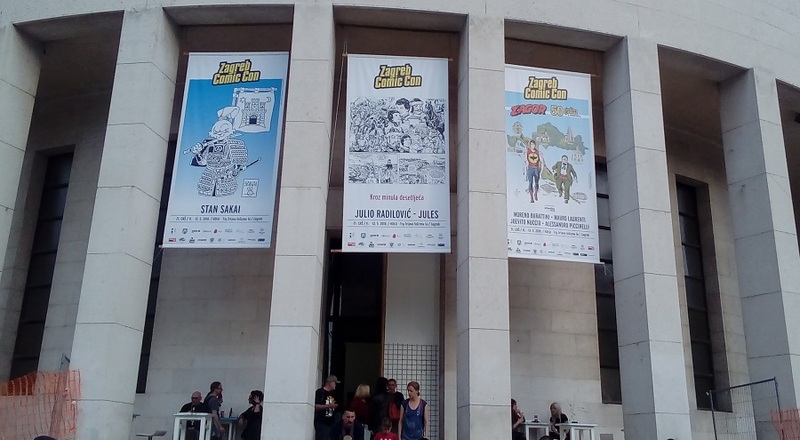 Since it’s held in a gallery, there are also exhibitions of all kinds of comic book art, and the main exhibition was dedicated to Croatian comics legend Julio “Jules” Radilović. 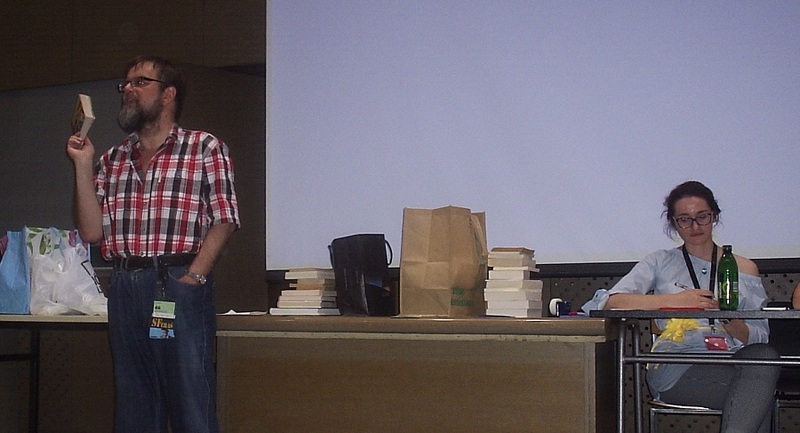 On Saturday evening, Sakai gave a talk about his work process, which I attended and really enjoyed. He’s such a super nice guy, and I always love when comic book artists demonstrate their work in action and create these wonderful illustrations in a matter of seconds. Obviously, there’s a number of dealers who sell both new and used comics. 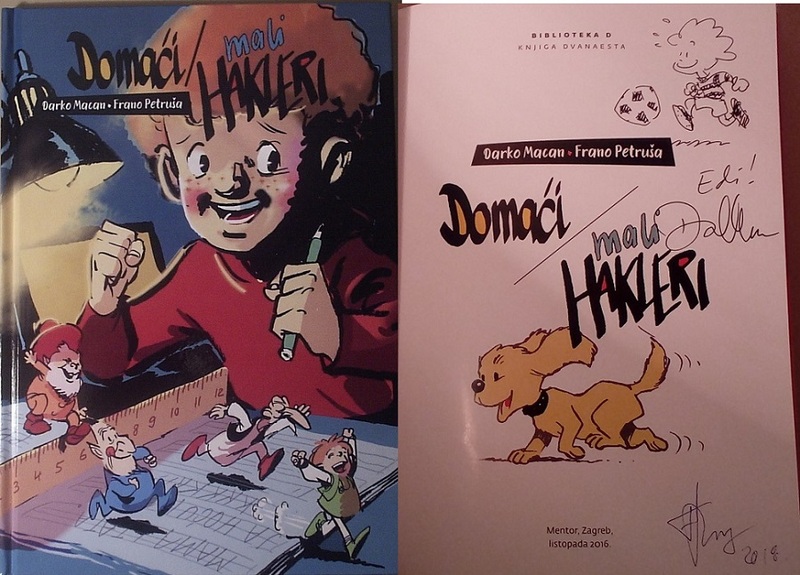 I bought this children’s comic by Darko Macan (whose name should be familiar to American readers) and Frano Petruša, who both signed it for me. Sferakon is held in the building of Zagreb University’s Faculty of Electrical Engineering and Computer Science, and to be honest, I usually spend more time there than I do at the comics show. There’s usually more stuff going on that interests me, whether it be the guests of honor or the various panels. For example, on Saturday there was a panel discussion about my favorite author ever, the now, sadly, deceased Ursula Le Guin. Later, in the evening, the same panelists led a very fun discussion about feminism in science fiction. 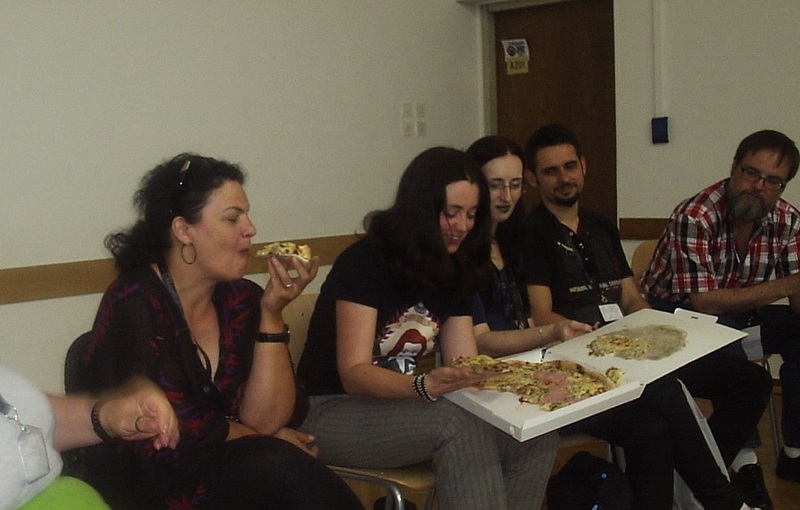 In the spirit of equality, they eschewed the custom of sitting in front of us to impart their wisdom, and rather had everyone put their chairs in a circle – and passed around a pizza they brought. And Sferakon always closes on Sunday with a book auction, restricted to the relevant genres (SF, fantasy, popular science and comics). I usually find a few good deals here, although in the last few years it’s been a good place to unload some of my excess books. Sounds like a great time. We don’t have anything nearly that big in my home town, but there are a couple of big cons up in Sydney. … you let a sammich stop you having pizza?!? The woman is dressed as a character from an online game called League of Legends – and that’s all I know. I think she won the cosplay competition, though. Seeing what that pizza looks like from those pictures, I may have passed even if I wasn’t full. What…is… that stuff on it? Sounds like a fun time. I got to see Stan Sakai and he was nice enough to sign my couple Usagi comics I had and even included quick head sketches! I think my sister got to see him talk sometime in the last couple years, too. Glad he still puts out comics regularly. Erm, cheese (probaby Gouda, and maybe mixed with mozzarella) and ham – usually pizza places here don’t chop up or shred ham like a lot of places in the U.S. do. It smelled really good, too – I was really tempted to take a slice despite being not at all hungry.